Saturday 27 January marks Holocaust Memorial Day – a day to acknowledge and remember those who suffered in World War II. The date marks the liberation of the Auschwitz-Birkenau concentration camp; the largest Nazi concentration and death camp. We can also use the day to think of the lives of those that have been affected by the genocides in Bosnia, Cambodia, Rwanda, Sudan and many more through recent times. The current political climate has led to many minority groups feeling powerless. By paying our respects to the survivors, we should use their experiences to shape how we think and live presently and into the future. There are groups in the United Kingdom who still face unjust discrimination daily. It is essential that we continue to create a safer environment for everyone to live without fear of discrimination and that’s why inclusivity is one of our core values as The Students’ Union. It is crucial to celebrate the diversity in our students and create a safer and brighter future. We are proud to be a part of a tolerant and multicultural city like Bristol. To mark Holocaust Memorial Day, we will be giving a short talk at The Students’ Union at Frenchay Campus, Building 1, on Friday 26 January at 13:00 followed by a two minute silence and a vigil. Refreshments will be available. There will be a civic commemoration on Friday 26 January at Bristol City Hall between 13:30 and 16:30. 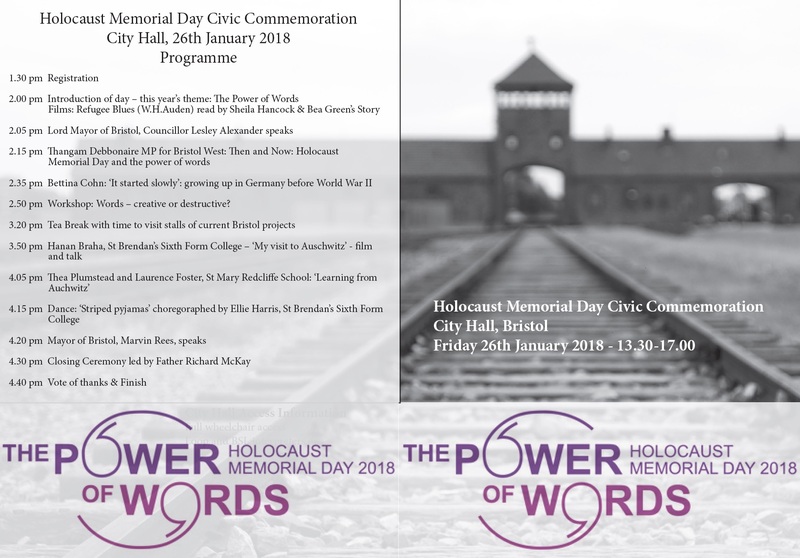 More information can be found here, https://bristolhmd.org/wp-content/uploads/2017/12/HMD-2018-Programme.jpg.